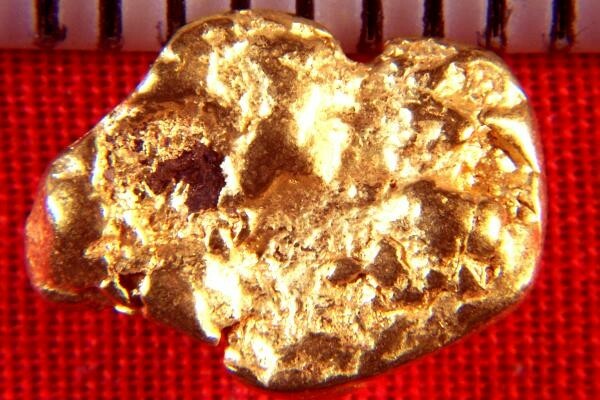 This awesome Gold Nugget from California weighs 37 Grains (2.4 Grams). It has a wonderful feel in your hand and a very pleasing shape and texture. From a river in the historic gold fields of California, this beautiful gold specimen is 1/2" (12 mm) long. 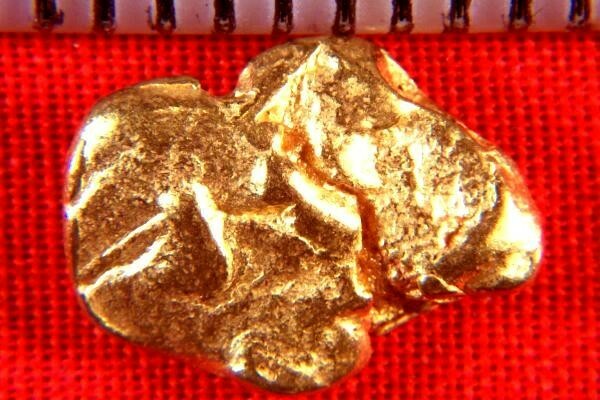 This is a super nice California Gold Nugget.